There are two versions of Kami, the web app and the Chrome extension. You can find out more about downloading the extension from the Google App store here. Open your internet browser (Kami works best with Google Chrome) and go to www.web.kamihq.com, or click the extension icon if you use the extension. From here you will be taken to our home page with our login button, with multiple login options. 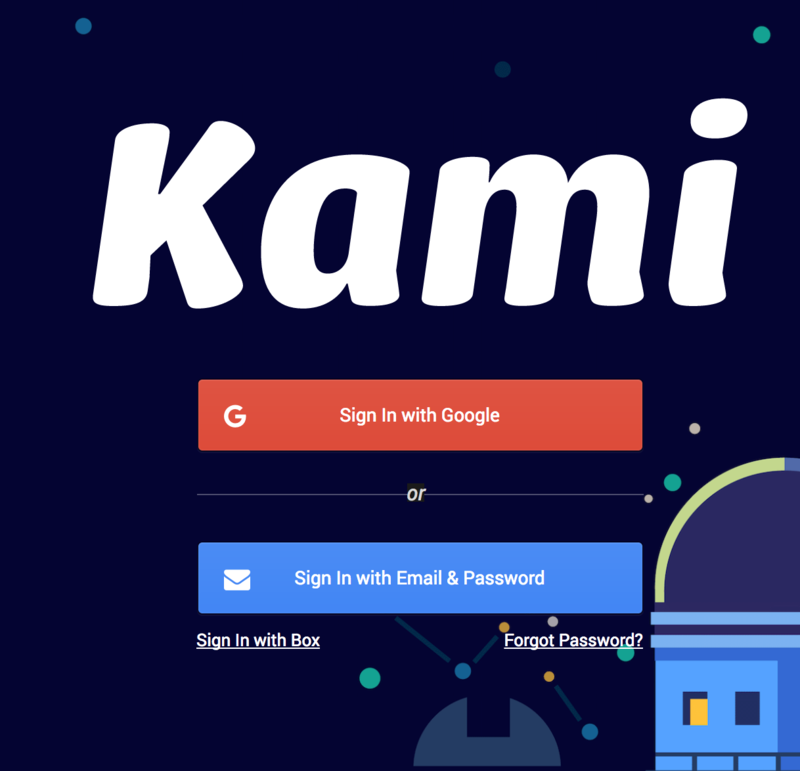 If you signed up for Kami using a Google account, click the orange 'Sign in with Google' box. Otherwise, select 'Sign In with Email & Password' and enter your email and password.